As Congress debates the “USA Liberty Act”, it is important to consider the implications for warrantless, back-door searches. The following information comes from the Brennan Center (https://www.brennancenter.org/blog/congress-cant-compromise-privacy); the entire article is worth reading to fully understand the importance of this issue and Section 702. [T]he problem with the USA Liberty Act’s solution is not simply that it does not go far enough. In two key respects, it actually represents a step backward. First, it would put Congress’s stamp of approval on backdoor searches. As it stands, Section 702 does not expressly authorize agencies to search for Americans’ communications. Indeed, the practice seems inconsistent with the law’s prohibition on targeting Americans, not to mention its requirement that the government minimize the retention and use of Americans’ communications. By codifying backdoor searches for foreign intelligence purposes, the USA Liberty Act would make the law worse, even if it improved on the government’s actual practice. Even more worrisome, the USA Liberty approach would introduce a new and dangerous principle into the law: the notion that Americans have lesser rights when the government is acting with a “foreign intelligence” purpose. Currently, if the government wants to target an American directly for surveillance, it must obtain a warrant regardless of its motive. In criminal cases, the government typically obtains the warrant from a magistrate judge, while in foreign intelligence investigations, it applies to a special court known as the FISA Court. In both cases, however, the government must show probable cause of illicit activity. There is no principled basis for lowering the standard of protection in foreign intelligence cases and allowing the government to access through the back door what it could not obtain through the front. Almost a decade after Get FISA Right was born, Section 702 of the FISA Amendments Act is once again up for reauthorization. FISA provides the legal basis for warrantless surveillance, and when it was originally passed over strenuous objections from civil libertarians in 2008, it included a “sunset clause”. After being extended once in the lame-duck session in late 2012, Section 702 will sunset if it’s not reauthorized again by the end of the year. As usual, the White House is pushing for a “clean reauth” — extending the provisions without any further reforms. As usual, civil libertarians across the political spectrum are pushing for reform. As usual, the government is saying they can’t even count how many Americans are swept up in target coverage. As usual, Ron Wyden is concerned and speaking out. But there are some big differences this time around. The Washington Post and the Guardian recently published reports based on information provided by a intelligence contractor showing how the NSA and the FBI are gaining broad access to data collected by nine of the leading U.S. Internet companies and sharing this information with foreign governments. 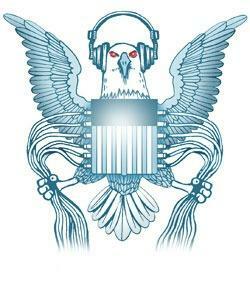 As reported, the U.S. government is extracting audio, video, photographs, e-mails, documents, and connection logs that enable analysts to track a person’s movements and contacts over time. As a result, the contents of communications of people both abroad and in the U.S. can be swept in without any suspicion of crime or association with a terrorist organization. You are currently browsing the archives for the Getting FISA right category.